Our Sheboygan facility provides classes for ages from 9 months/crawling to 18 years, from beginner through advanced levels. Classes are offered every day of the week except Sunday. Many special programs are offered on Sundays during the school year. Children of all ages must be supervised by a parent or adult. These are fun, family gymnastics times to explore, roll, swing, balance and flip upside down together! Designed to introduce children to the sport of gymnastics with the assistance. Your child will develop overall body coordination, balance, strength, flexibility and poise with musical games, obstacle courses and the Tumbl Trak. Ages 3 - 5 (and Potty Trained), Must have completed Inias. This class is a convenient way to attend two of our most popular programs. Help develop basic movement and coordination skills. The 2nd half of the class is in the Garton Pool. Children develop self-confidence, learn independence and safety in the water. Age-grouped program to learn gymnastics for fitness, recreation and fun. Work on gymnastic skills and conditioning exercises on boys and girls equipment in an obstacle course format. Get ready to roll, swing, balance and flip upside down! 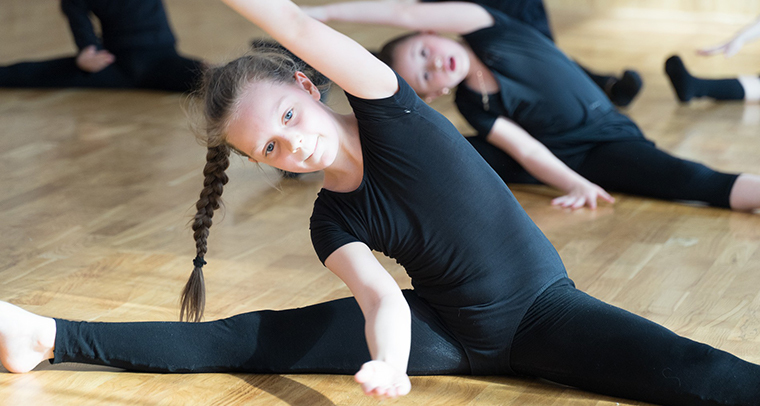 Private lessons are for students who prefer concentrated training to focus on goals, to acquire tumbling skills for cheerleading and dance, and for therapeutic purposes. Lessons are for up to 3 people. Purchase punch card for 5 lessons, get your 6th one free! This novice class is for boys and girls who are new to gymnastics. Children will learn basic gymnastic skills on the four Olympic events. This is a great starter class for children graduating from our preschool program. Classes begin with fun warm ups. Then, girls participate on four Olympic events–vault, uneven bars, balance beam and floor exercise. Boys participate on six Olympic events – vault, high bar, still rings, pommel horse, floor exercise and parallel bars. This is the same structured class as our grade/middle school gymnastics, but more advanced. Children must be able to do a hip pullover, bridge and 3/4 handstand on the beam. It is great preparation for training team and team!